Since its inception 20 years ago, Savanna Car Hire has evolved into an all-round vehicle business, specialising not only in vehicle rentals, but also in car sales, repairs and panel beating, among others. Today Savanna Car Hire operates as the all-encompassing Savanna Centre able to address all your vehicle needs. Founder Berti Ham first launched Savanna Car Rentals in 1993 when he rented out his VW Combi. His next step was to purchase his first 4×4 vehicle, and the rest is history. 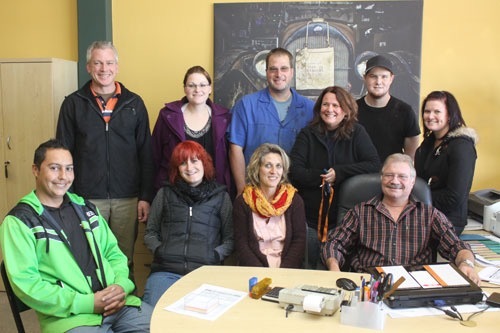 Berti and his team, now comprising 28 employees, are fully committed to the maxim ‘quality over quantity’. This is reflected in their keen eye for service delivery to customers. Today, under the umbrella company Savanna Centre, customers can choose to rent one of the 100 vehicles in the Savanna fleet, which caters to every possible customer requirement, from small passenger vehicles ideal for straightforward A to B driving needs, to all-terrain, custom-made vehicles kitted out to make any camping holiday an easy, no-fuss dream come true. This variety makes what Savanna offers perfect for exploring all the nooks and crannies of Namibia’s untouched wilderness. One of the most popular vehicles in the fleet is the 4×4 Toyota luxury camper equipped with a custom-made roof that allows even the tallest of passengers to stand upright on the back of the vehicle. 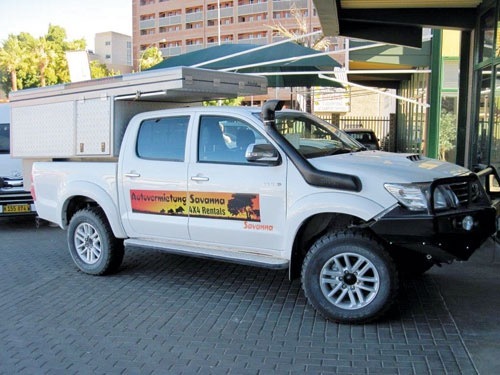 Moreover, Savanna Centre hosts a workshop, with personnel specialising in Toyota and Land Rover vehicles and mechanics priding themselves on being able to repair and service most types of car brands. In addition, Savanna ensures that all its vehicles it rents out are kept in peak condition before they hit the road. The company also sells vehicles that were previously part of the Savanna Car Rental fleet. Recently, however, the car-sales department has evolved into selling other pre-owned vehicles that were not part of the car rental fleet. Today Savanna functions as a fully-fledged car dealership. Plans to expand the Savanna Centre even further are in the pipeline for this continually growing concern. None of Savanna’s rental vehicles are older than two and half years. This reduces risks on the road and ensures safety to customers. 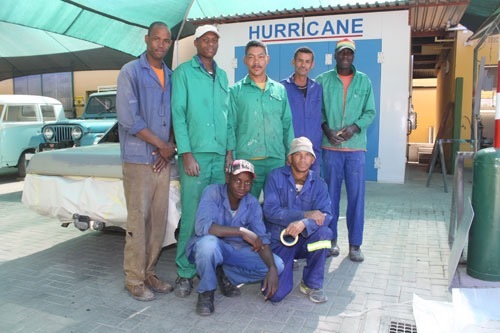 In the unlikely scenario that clients might experience car problems, the Savanna Centre has built up an extensive network that comprises 91 workshops and garages across the country. This network ensures that whatever car trouble a client might face, help is close by. Berti ascribes the success of his company to the infusion of young blood. He explains that all his staff members are committed and bring a young, dynamic spirit to the business. Mostly though, he thanks his clients for ensuring that Savanna car rentals have kept up their standards and constantly strive to improve customer service.